Cigar Humidors available in a variety of woods and burls. pear ,and maple. 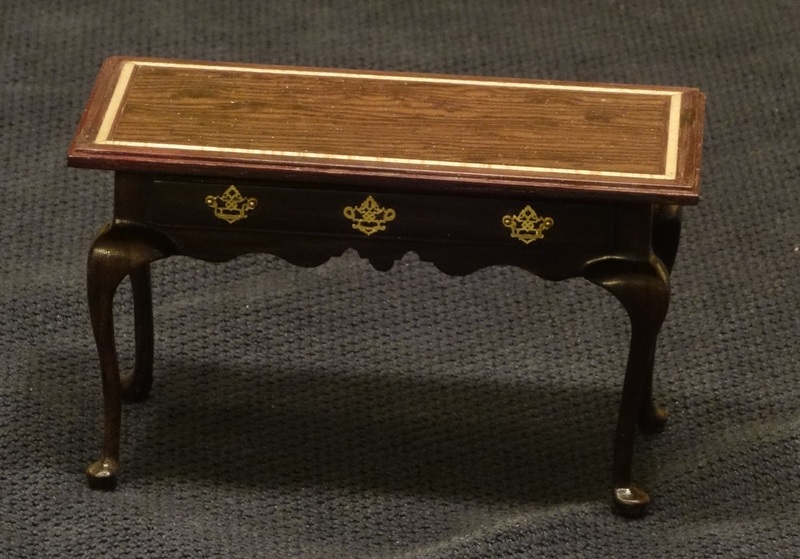 2 1/16" x 2 1/16" x 2 1/2" h.
​Queen Anne-style Lowboy, mahogany and satine. Top lacewood and satine border. 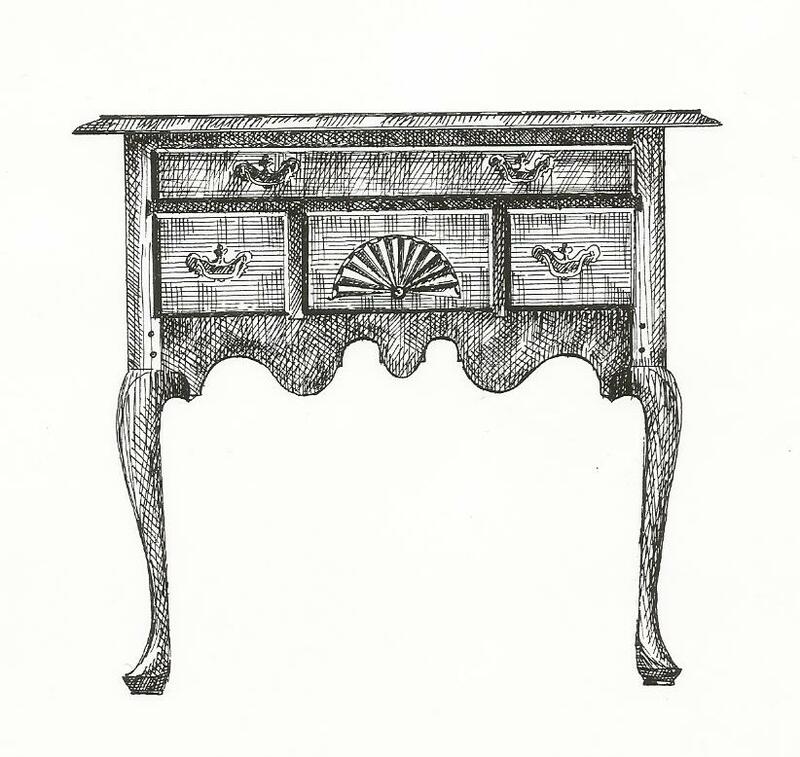 Drawers faced with lacewood. ​These are but a few possibilities as I enjoy trying different types of woods to complement each other to show the beauty of their grains and colors. 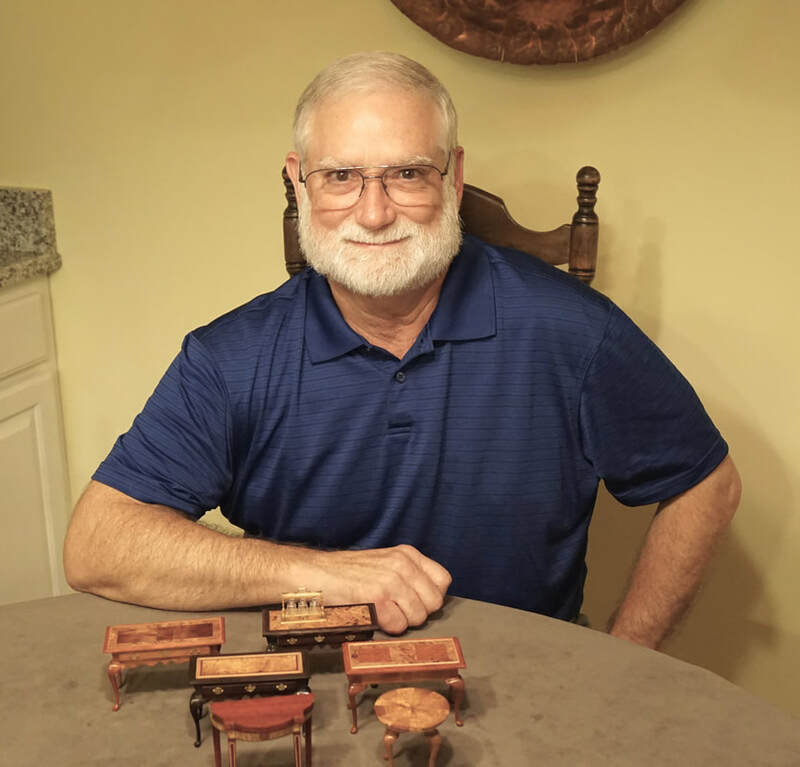 ​To obtain a quote for a special piece you would like made in miniature, email me a picture along with a few key measurements (height, width, etc. ); I will respond with a price and an estimated delivery. Special orders do require a 50% deposit. Email me or use the "contact" option shown in the header of this page. * Available in a variety of woods and burls. An additional cost of $10 if banded in brass. Each individual piece requires approximately 15 to30 hours of labor to create. Cabriole legs are shaped by hand to match the piece. All inlay is created by hand. 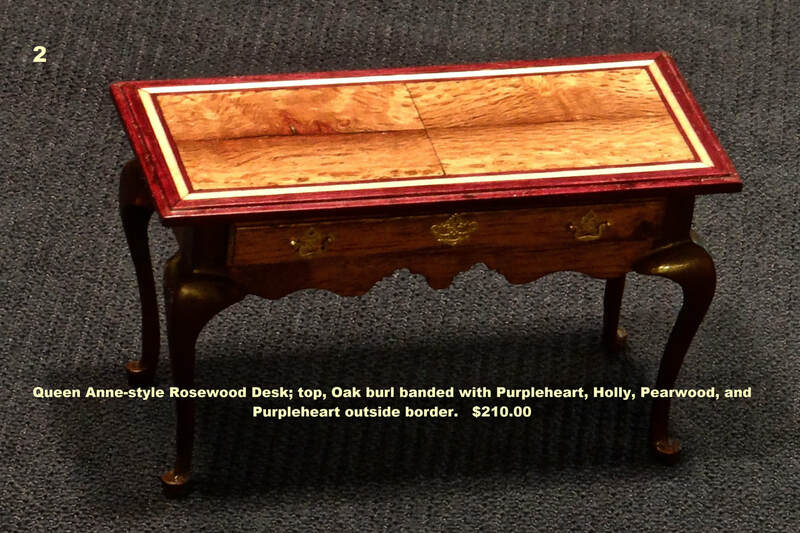 To bring out the natural beauty of the wood and provide a deep luster, each piece has 8-10 separate coats of lacquer, followed by a hand-rubbed finish with oil and pumice, then an application of beeswax-based fine furniture polish. My intention is to create - not just a miniature reproduction - but a individual work of art to be enjoyed for generations to come. ​Victorian era Tea Caddy, with 3 chambers. 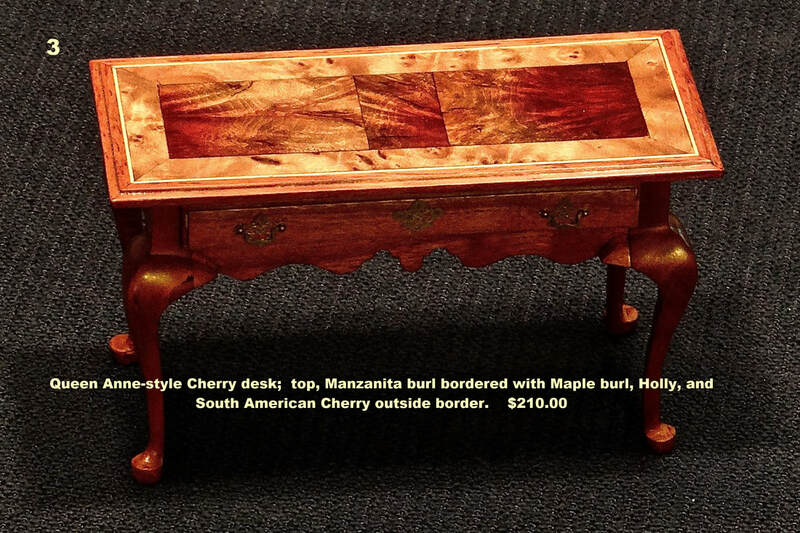 Shown here in Ambonia burl. Tea Caddy available in other woods. Shown L to R, are Rosewood, Ambonia burl, Cocobolo, and Bloodwood. Other woods and burls on request. 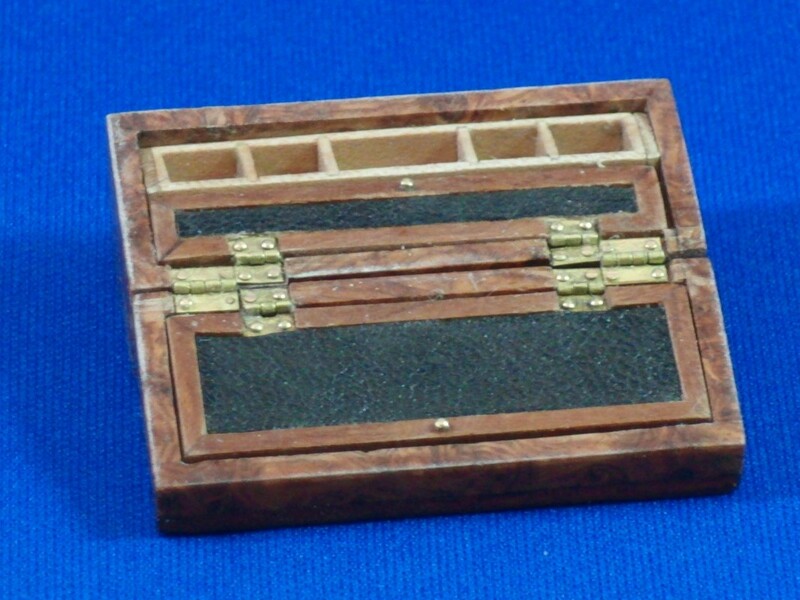 Jewelry box, Rosewood, banded with Mother of Pearl. lined with cedar and with a removable tray. 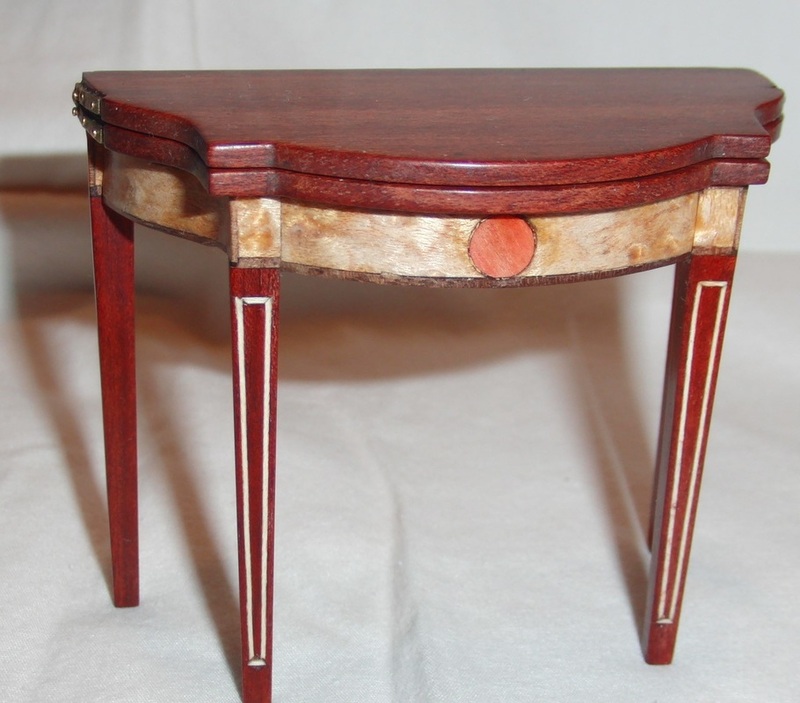 Octagonal end tables with various burls (Ambonia burl shown here). 2"w x 2"d x 2 1/4"h.
Jewelry boxes available in a number of other woods and burls. Shown here are black palmwood, rosewood, and bird's eye maple.